Should the U.K. Abolish the Monarchy? | Kid Reporters' Notebook | Scholastic Inc.
Do you think that Elizabeth II, Queen of the United Kingdom (U.K.), has political power? The U.K. is actually a constitutional monarchy. This makes Queen Elizabeth the head of state. On a national level, political decisions are made by a democratically-elected Parliament, which is currently led by Prime Minister Theresa May. Many people in the U.K. say that the monarchy is a tradition worth keeping. Others argue that the institution is outdated and unnecessary. Indeed, the Queen’s role in British life is largely ceremonial. Still, many people believe, mistakenly, that she has a lot of political power. One argument for abolishing the monarchy concerns the expense. The cost of maintaining the royal family and their residences in 2017-’18 was estimated to be the equivalent of almost $100 million. Anastasia Walsh, a businesswoman in Hertfordshire, says that the money should go instead to education, health care, and programs that alleviate poverty. Yash Kanabar, a retiree who lives in Bishop’s Stortford, argues that interest in the royal family, especially Prince William and Prince Harry, benefits the country by drawing tourism dollars. Members of the royal family, led by the Queen, also give considerable time and money to charitable causes. “The monarchy is very important for the British economy,” says Sarah Bruce, a local librarian. Many British people find it unfair that members of the royal family enjoy privileges that others do not. For instance, members of the royal family do not have to pay income taxes, although the Queen voluntarily pays a small amount. Additionally, when Prince Harry and Meghan Markle get married next month, bars will stay open longer than usual. This would not happen for the marriage of two commoners [ordinary people]. 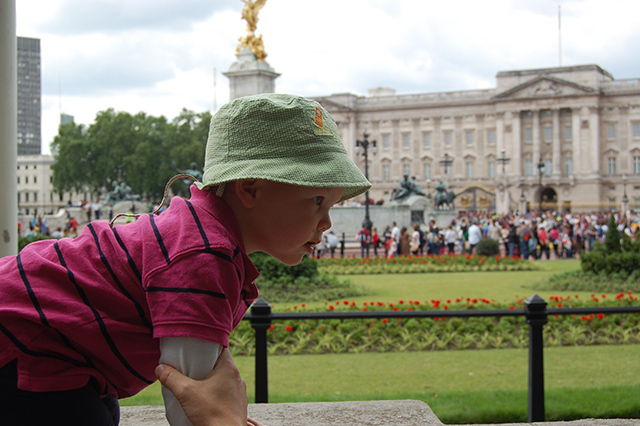 It’s difficult to predict whether the monarchy will endure. In a changing world, with an increasingly influential social media landscape, future monarchs will have to fulfill a different role. If they can keep up with the times and become more accessible, they will have a better chance of maintaining their privileged role.